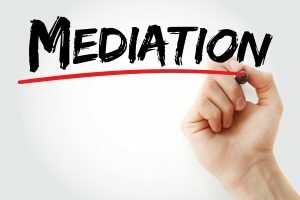 The Mediator will share some information with you at the initial Mediation information meeting about this. It is important that you don’t ask the child to say anything specifically to the consultant or encourage them to do or say something in support of something you think they might want. it is best to tell them that you both think that it will be good for them to have the chance to speak openly about how they are feeling and what they think is working well and what they might like to be different. It is also important that you are both consistently reassuring the child that you won’t be angry if they say something that you might find hard to hear. You wouldn’t want them to worry about this or to leave them feeling responsible for making decisions that are really difficult for you and your ex-partner to make. It is not unusual for children to tell one parent they want one thing and to tell the other parent they want the exact opposite. It is hard for children to be in the middle of their parents conflict and to feel that they are being asked by their parents to choose. Sometimes parents disagree that their child is doing this, which can be hard because this puts your child in a difficult situation of feeling conflicted.